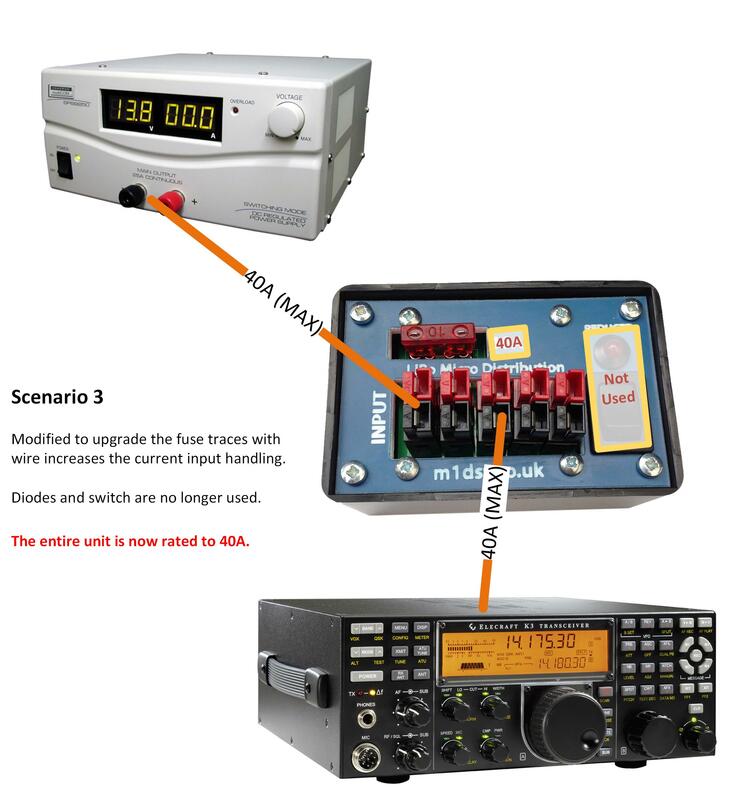 A DC distribution system based around the popular Anderson Powerpole connectors designed for use with QRP radios such as the Elecraft KX3 or the Yaesu FT-817 who want to power them using lithium polymer (LiPo) batteries. 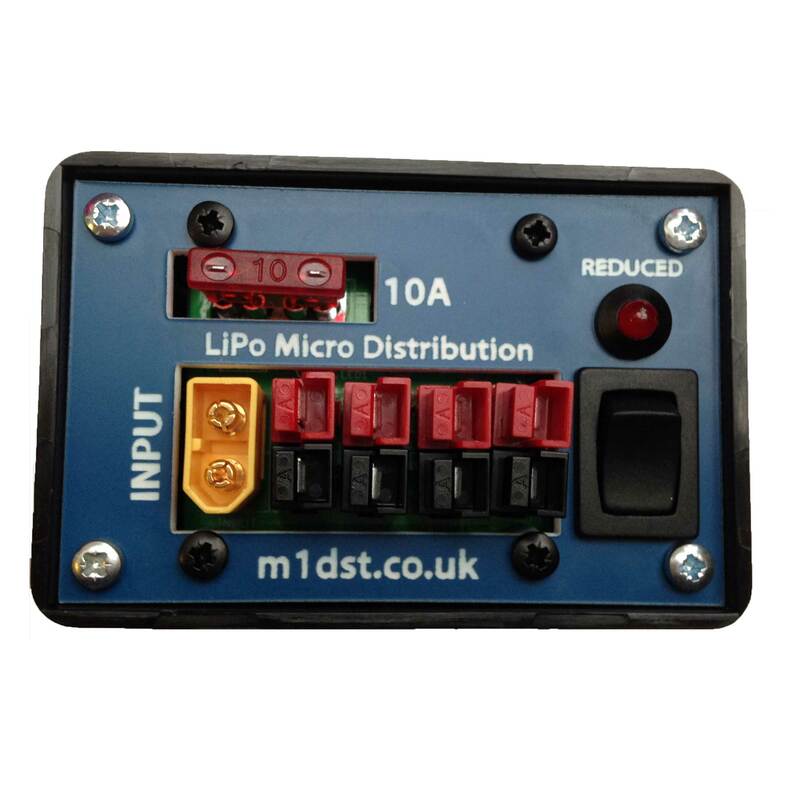 LiPo batteries are great for portable operation as they provide excellent capacity for their weight. 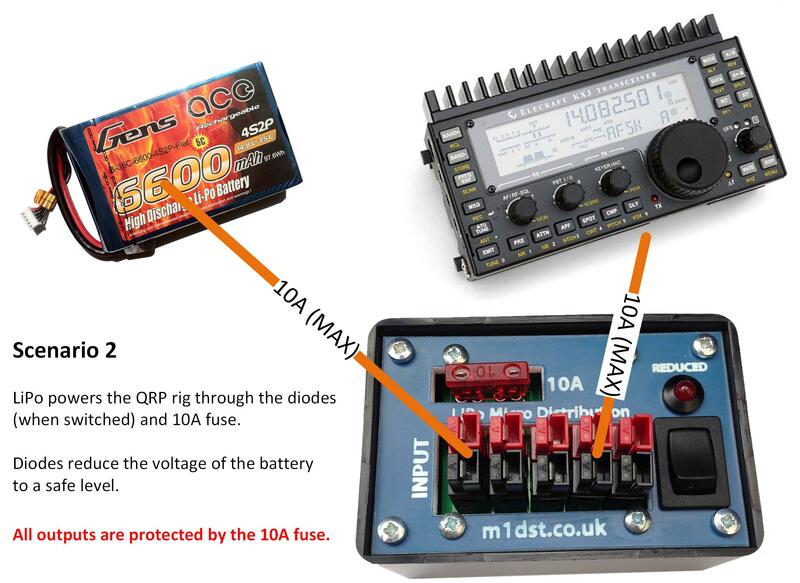 A LiPo 4-cell battery (4S) has a nominal voltage of 14.4v and a fully charged voltage of 16.8v. 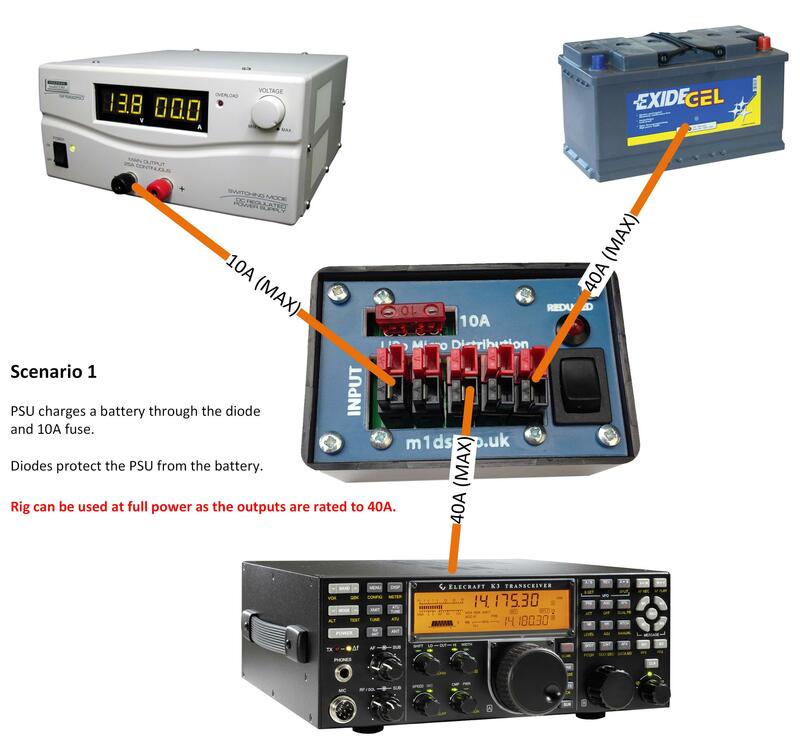 The 4 cell battery when fully charged exceeds the maximum input voltage permitted by many transceivers. 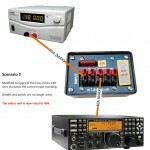 The Elecraft KX3 has a maximum input voltage specification of 15v. A simple way to drop the voltage is to put 2 x 10A power diodes (nominally 0.7 – 1v drop each) in series with the battery. 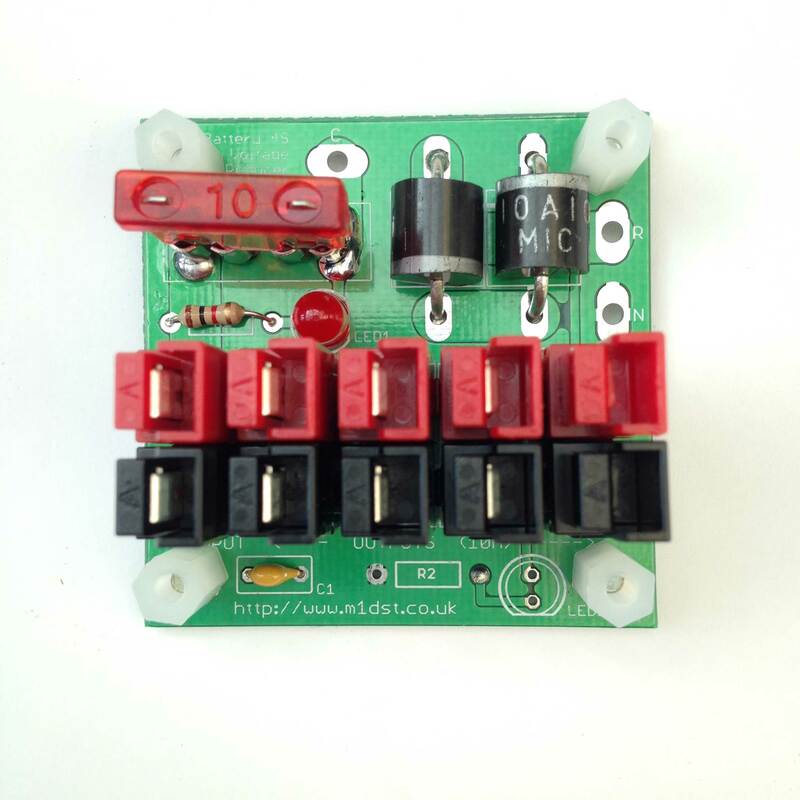 When the battery falls below 15v you simply throw the switch and the power diodes are removed from the circuit. Could also be used to float charge batteries using a power supply as the diodes will stop the batteries reverse feeding the supply. 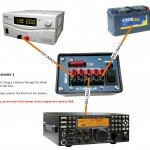 You could mount one if these in the car, under your shack bench or include it in your “go” bag for portable use. 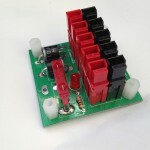 There is a single input fuse which if removed will isolate all other items connected from the power. 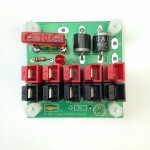 The kit contains everything you need to build the project including the fuse. Printed circuit board with large high current copper traces. Enclosure: ABS black plastic with laser cut faceplate. Fuse is standard ATC/ATO automotive fuses rated at 10A. LED lights up to identify the fuse has blown. LED indicates voltage is being reduced. Enclosure size: 85mm x 55mm x 35mm. 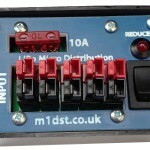 Switch enables the voltage reduction. Contains 2 x 10A power diodes. Contains 4 x foam feet which you can attach. 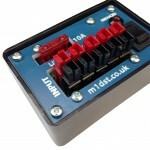 You will receive an enclosure, faceplate, PCB and all of the components required to populate it. There is nothing complicated with building this and as long as you have a reasonably powerful soldering iron you should be fine. Construction should take around 1 hour. We can also supply the unit configured with an XT60 input connector (instead of a Powerpole) so that you can plug medium sized LiPos straight into the unit without having to modify the original plug. Larger LiPos normally come supplied with bullets so you would need to create an adapter or cut it off and put a powerpole on. You make your selection whilst adding to the cart. 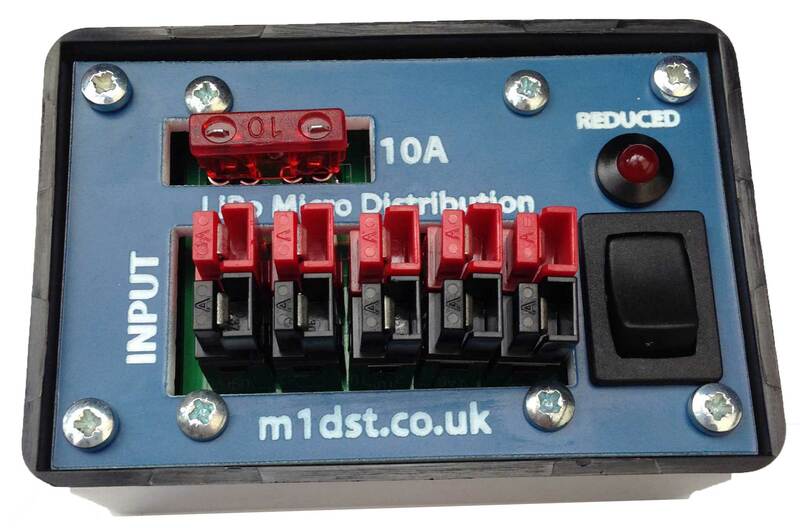 With very basic modifications you could alter the unit so that the diodes are not present and the switch would then function as an isolator in an on-off scenario. The diodes are what limits the current rating in this project. If you removed the diodes the PCB should easily handle 40A. You would just need to increase the size of the fuse trace by adding a wire in parallel. All of these modifications are explained in the documentation. 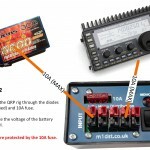 To build the kit you will want to follow the LiPo Powerpole Distribution Assembly Guide.